Lawnmowers have come a long way since Edwin Budding invented the first real alternative to the scythe in 1827. His mower featured a cylinder with a series of blades attached to cut grass as the mower was pushed. His design still closely resembles that of classic reel mowers today, but it is worlds away from the lawn tractors that currently populate the market. Today’s high-end mowers can boast a third the horsepower of a small car, cruise at 15 mph and come with more bells and whistles than a small yacht. Forget having the best lawn on the block. Buy one of these tractors and you’ll make the neighbors jealous every time you go out to give a trim. If you’re willing to spend a large chunk of change on a top driving lawnmower, look no further than the Tank S. This zero-turn mower with steering-wheel control has twin cylinder engines and hydraulic power steering. 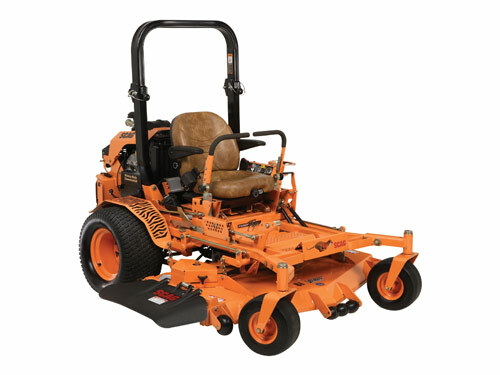 It can mow up to 7.5 acres per hour, and the most powerful Tank S model has a 37-hp engine. As an additional purchase, you can buy an enclosed cab, which means mowing in every kind of weather. The Tank S also has a gel suspension seat, padded armrests and a super-size cup holder and sunshades. It also comes with “smart jet deck wash,” which enables the operator to wash the rider by simply inserting a garden hose into a hole in the deck. Though the Turf Tiger is slower than the other mowers­—not quite reaching the 15-mph standard found on this list—it has a suspension seat with cushioned armrests, a convenient cup holder and a digital meter to display maintenance reminders. 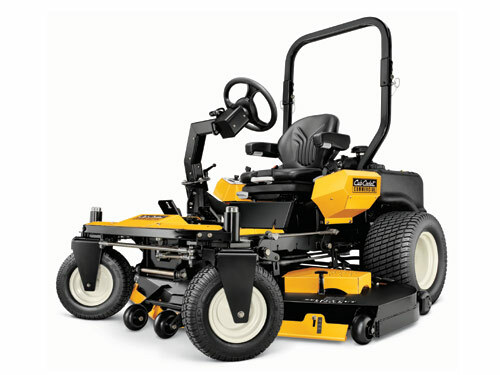 The Tiger has some pretty snazzy add-ons, including 12-inch chrome wheel covers, which are made of durable plastic and feature the Scag logo in chrome; a halogen light kit, which enables mowing in the dark; and a lawn striping system.